Appearance:While tall, Luther isn't very remarkable otherwise in his own nation. His bald head and clean shaven face mean he looks professional, but non-remarkable. His bright blue eyes tend to be hidden behind dark sunglasses, which go rather fetchingly with his black suit that he always wears. He has a pair of gloves he pulls on for fights. The whole outfit works rather well despite his fairly light skin tone; he doesn't really ever tan or sunburn, though he's not so pale as to look like he lives in a basement or cave. The only slightly odd part are his shoes, which are a curious set of boots. Somewhere between cowboy boots, work boots (the steel-toed kind), and dress shoes, they're a shiny black, and go not quite halfway up his calves, though you can't necessarily tell. They're simple smooth, glossy black, but with a good rounded toe. Also, steel plates on the sole and toe. Personality: Calm and collected, no nonsense. While Luther does sometimes relax, it's never when he's on duty. That said, he's surprisingly polite and diplomatic, especially for someone of his rank in the Corps. Though any training classes that have gone through his course would argue the point. One notable trait is that Luther tends to have an old-fashioned streak, especially a polite, old-fashioned streak of chivalry. He doesn't tend to take kindly to those who are impolite to women. Even lady Arrancar get a bit of respect, though that goes out the window as soon as they try to harm people. To his opponents, especially Hollows, Luther is ruthless. If he's not shooting to kill/purify, he's working to disable in the most efficient way possible. Outside of combat, he tends to be a quiet man, preferring books and such to loud parties. He's a bit of a theater connoisseur, enjoying a wide variety of plays, and to a lesser degree movies. Release Command: Strike Down the Demons, Steel Rain! 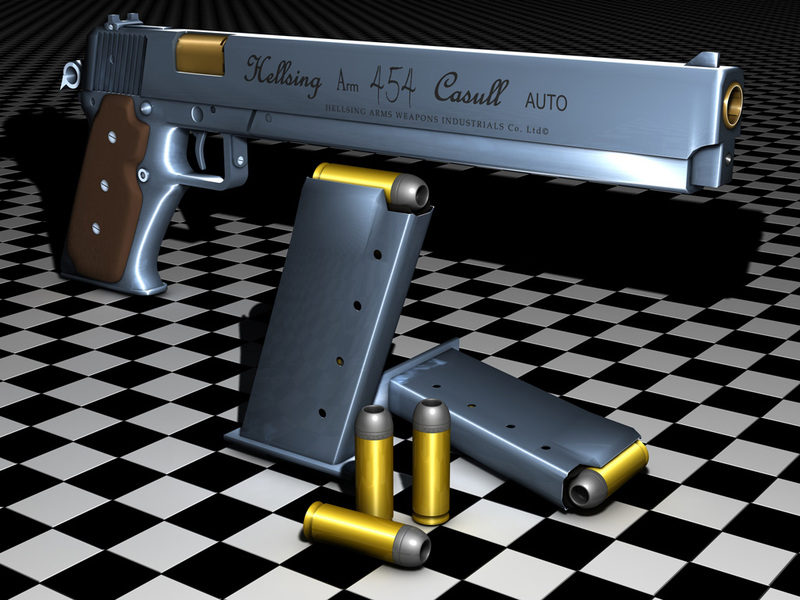 Sealed State:.454 Casull Handgun; silver body, black grips, no writing. Single shot, damage comparable to a lower to mid level Hado 31 (Shot of Red Fire). No real limit to shots. 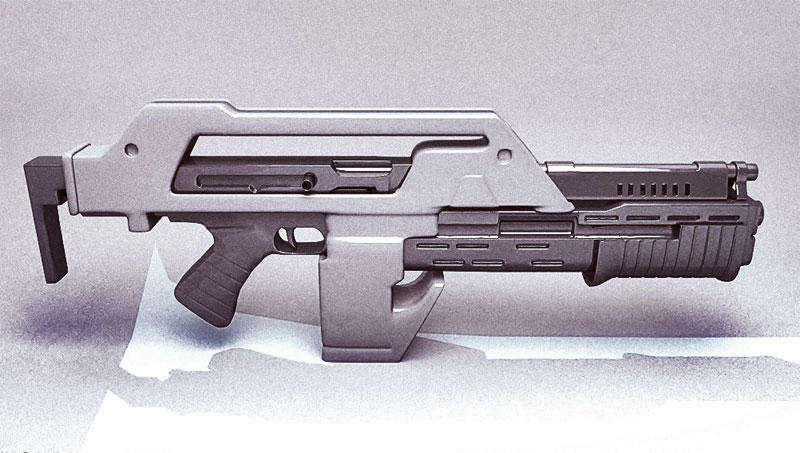 Shikai: M41 Pulse Rifle; Rapid fire, up to 300 rounds per minute. Each impact same level of damage as sealed state; main power increase comes from vastly increased rate of fire. Can fire a "grenade" from lower barrel; damage equivalent to a Hado 54 (Abolishing Flames). Grenade function can only fire once every 10 seconds. Regular fire unlimited. 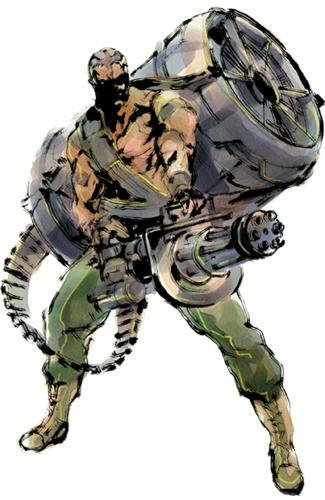 Bankai: GAU-8 Avenger; Luther grows to 12' in height to better handle his bankai form. Wields cannon like this. Each bullet is 4 times more powerful than previous levels. Rate of fire increased to 3900 RPM. Unlimited ammo. Capable of piercing all but the hardest armor and hierro. General Abilities: Luther rates fairly well overall, with his Marksmanship (equivalent of swordsmanship) rating very high (88 out of 100) , his unarmed combat rating excellent (92 out of 100), his speed rating high (70 out of 100)(probably seated officer in 2nd Division level), and his mystic arts (kido) rating poorly (35 out of 100). He tends to prefer using brutal and effective moves in hand-to-hand combat, going for the quickest possible take downs of his opponents. His speed never decreases due to his shikai or bankai, though shooting while moving makes it a bit harder to aim.